When America went to war in Vietnam it did it without any real understanding of what conflicts were resting just beneath the surface. In the province of Gia Lai this failure to understand past conflict only served to draw the battle lines a little clearer. 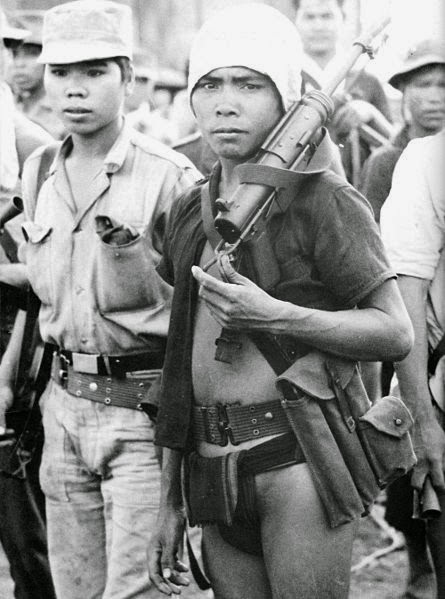 The Montagnard peoples of Vietnam's central highlands had a long standing conflict with Vietnam's ethnic majority. It was one not of their choosing. And it was one in which America only served as yet a new ally in an endless battle. The Montagnard people, or Degar people in their language, had been pushed into the mountains long before colonialism. They are culturally, linguistically, and ethnically distinct from the Vietnamese majority. It was these differences that had built a barrier between them and the Vietnamese. An it was this barrier upon which colonialism preyed. The Degar had battled to survive amongst invading Vietnamese, French, and American rulers. It is in those mountains and forests that the Degar have showed the world that they will remain. The history of the Degar tribes (including the Jarai, Rhade, Bahnar, Koho, Mnong, and Stieng) has been one of resisting foreign invasion. They were once coastal tribes that farmed the lowlands, hunted in the forests, and fished the coastal waters. In the ninth century the Vietnamese and Khmer began encroaching upon their lands. And within a short time period the Degar tribes earned their name by claiming the Central Highlands of Vietnam. They fiercely defended what other ethnic groups had seen as undesirable mountainous areas. Their tribes, around 30 tribes in all, were ethnically distinct yet shared many cultural and social structures which helped them unite in defense of the last homeland they had left. When colonialism began in Southeast Asia the Degar tribes were at first left alone. Then came the introduction of the Roman Catholic missionaries in the 19th century. Only a small amount of the Degar tribes embraced the Roman Catholics. Most simply wanted the French to keep the Vietnamese off their lands. And for that matter... also wished the French would stay off their lands as well. But then came the American missionaries with their version of Christianity. Colonialism under the French, with American influence, had brought a new faith to the Degar tribes. By 1930's the Degar people were beginning to adopt Christianity into their cultural practices. Colonialism was a brutal source of tyranny in Vietnam as a whole. The French had to combat traditional beliefs and practices in Vietnam to maintain a profit at the expense of the Vietnamese people. Without oppressive practices and a repressive power structure, French colonialism in Southeast Asia would had collapsed much more rapidly. It was no surprise that once communism arrived in the northern parts of Vietnam that the French began to lose control. Communism could be manipulated to fit the cultural structure of Vietnamese society. French exploitation could not. Vietnam was set to fall to the communists as France began to retreat toward the south. Those loyal to the French became targets. Everything that resembled the French colonial rule had to go. And this meant the religion the French had spread across a country that was predominately Buddhist. For the Degar people of the Central Highlands this was just one more aspect of the conflict that already existed between them and the Vietnamese. As America began it's war against the communists the Degar people found an ally. The Degar would be pawns in America's war. Yet for them it was a role that allowed them to remain on their lands. It was a war in which they had to choose the better of two devils. The communists offered them nothing but death even if the Degar would fight the Westerners. The Americans offered them a chance to remain on their lands even if there was a horrific price to be paid in their own blood. The Degar peoples resisted. Just as they had done for centuries. The Degar tribes did not fight for French or American colonial rule. 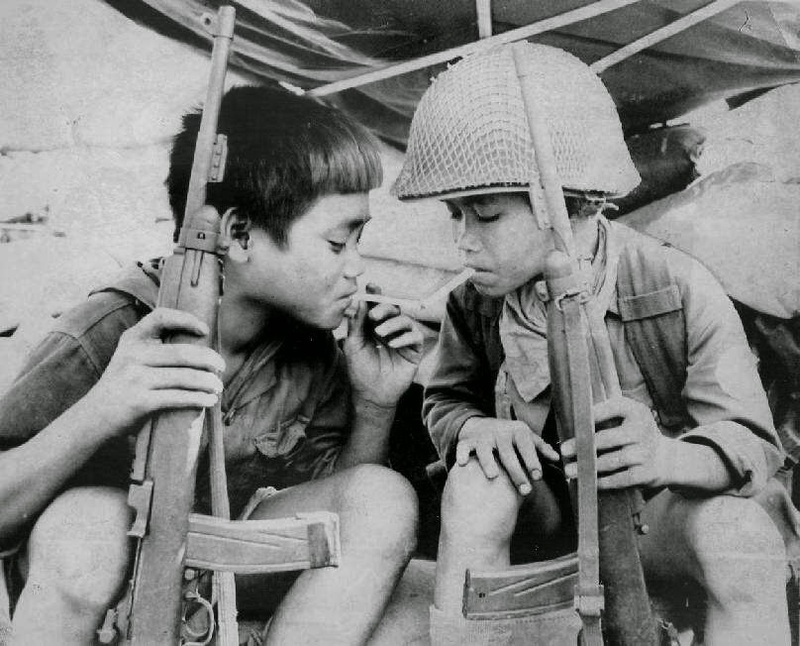 They did not fight to keep Vietnam free of communist rule. They simply resisted so that they could remain on their ancestral homeland. The war may have very well been a struggle between two political systems, but for the Degar it was one of survival. The Vietnamese had been the ones to push the Degar tribes to these highlands in the first place. During the war the Vietnamese threatened to push the Degar off the last strip of land they had left to call their own. The legacy of standing up to Vietnamese aggression is one that still haunts the Degar tribes today. Vietnam went on to win the bloody war against American aggression. The fact that the Degar tribes had sided with the Americans is a memory that has not yet been forgotten. And it is one that is still used for political gains by land-grabbing Vietnamese politicians and military leaders. Today the Degar people are oppressed in ways that directly mirror the atrocities committed against them in centuries past. The government of Vietnam is directly responsible for the confiscation of Degar lands, the forced conversions of Degar peoples, the continual violence perpetrated against Degar civilians, unlawful and arbitrary arrests of Degar tribal members, and the persistent harassment of Degar villages. The government of Vietnam cordons off Degar lands from the outside world as it blocks access to the Degar people it so readily persecutes. All the while the government of Vietnam exploits the natural resources of Degar lands by allowing Vietnam's elite to sell off it's lumber, lands for plantations, and controlling access to the water sources on Degar lands. Continual persecution has led many Degar to unite in ways that have blurred the lines between the many different tribes of Degars. 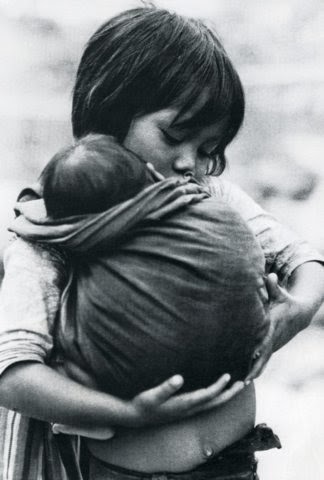 Vietnam's harsh treatment of the Degar has led to mass protests within Vietnam (always met with violent oppressive actions by the state) and mass protests in countries that Degar refugees have resettled in. 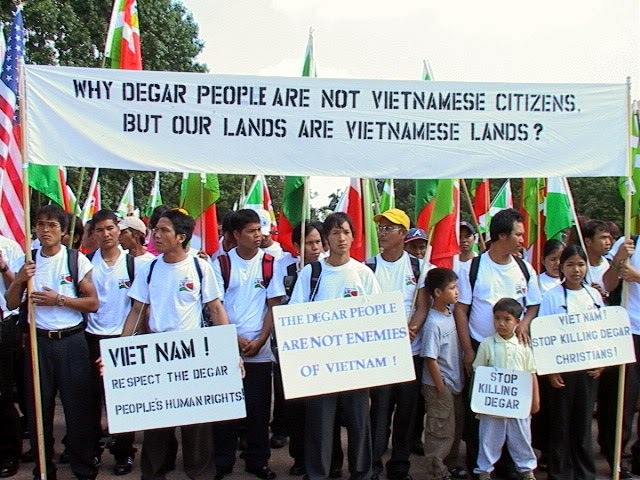 In 2001 the Degar marched on provincial cities across the Central Highlands to demand the return of their ancestral homelands, basic religious freedoms, their basic human rights to be recognized, and ethnic recognition by the Vietnamese government. Since then the oppressive measures taken by Vietnam have only increased. Vietnam has sent large numbers of police and military into the Central Highlands in an attempt to seal off the region from outside eyes. Churches (homes used as churches) have been burned in retaliation for Degars preaching the Christian faith. Leaders of the Degar community have been rounded up and sentenced to lengthy prison sentences (many still awaiting trial while being kept in prison). Women and Degar youth are constantly harassed by the military as Degar families are kept as prisoners on their own lands. And the border with Cambodia is heavily monitored in an effort to keep the thousands of Degar refugees from fleeing Vietnamese oppressive rule. Meanwhile the government of Vietnam hides behind claims that the Degar are terrorists that are dead-set upon damaging national unity and breaking away from Vietnam. These are claims that have yet to be proven by a regime that forbids foreign journalists and aid workers from entering the Central Highlands. While the regime uses these claims to crackdown on Degar tribes (essentially stripping them of all basic human rights) it outright refuses any outside government to investigate the claims. So while Vietnam carries out what has all the hallmarks of ethnic cleansing, the outside world is left to watch. While Vietnam behaves in much the same way as Burma does in the Arakan... the outside world once again ignores signs of what has the potential to become (if it has not already been) genocide.